Apple has released an update package for the 6.1 version of its iOS software platform, bringing few improvements. iOS 6.1 is a minor update designed to improve the LTE compatibility and to repair a series of vulnerabilities. 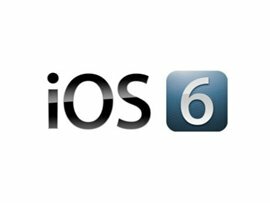 iOS 6.1 expands the LTE support for 36 operators in 17 countries, this feature being offered to the iPhone 5, iPad 4th generation tablets and iPad Mini. Those who are using the 3rd generation of iPad will be limited by the LTE support of the modem used by Apple. The list of software innovations includes the integration within Siri of the possibility of purchasing movie tickets through Fandalgo, feature limited to the United States, and the possibility of individual downloading and deleting music tracks downloaded from iTunes Match, option that existed in iOS 5, but which disappeared from iOS 6 until this new version. iOS 6.1 brings improvements and strengthens the security in the operating system kernel and the modules WebKit, StoreKit and Identity Services, as well as eliminating a security vulnerability discovered in the Broadcom wireless drivers that affected the models iPhone 3GS and iPhone 4, iPod Touch 4th generation and iPad 2. The list of minor innovations also includes the possibility of removing identification codes used by advertisers, option available in the General/About/Advertising menu, and small changes in the interface, such as redesign of audio playback control buttons in Lock Screen. According to Apple, of the 600 million Apple products running the iOS, half of them are using the latest major release of the operating system.